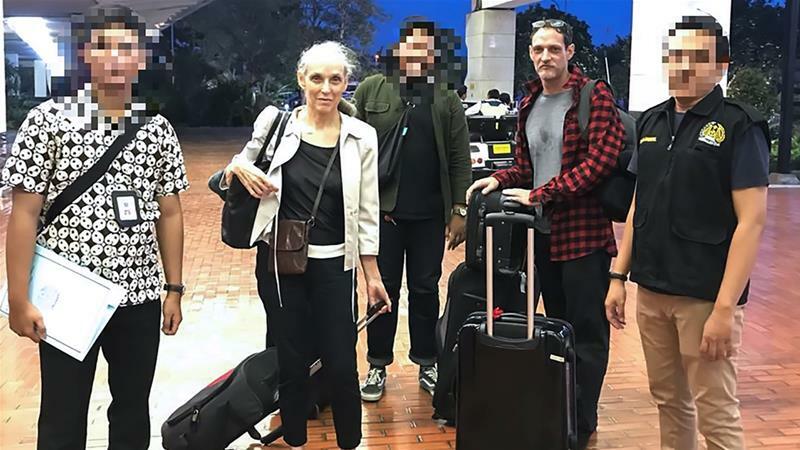 A French national who spent 18 years in Indonesian custody for smuggling drugs into Bali is expected to arrive home on Sunday, thanks in large part to his mother's efforts. Michael Blanc was arrested in 1999 at the airport in Bali with 3.8kg of hashish hidden inside scuba diving canisters. The now 45-year-old was initially given a life term, narrowly escaping the death sentence handed to some foreign drug traffickers. In 2008, Blanc's prison term was c ut to 20 years. Blanc's mother, Helene Le Touzey, later helped secure her son's parole in 2014, despite the fact that Indonesian law does not usually allow the conditional release of foreigners after serving just two-thirds of their sentence. Blanc's three-year parole period ended in July 2017, after which he was required to finish one year of probation. The former cook arrived at the airport in Jakarta for his deportation on Saturday escorted by Indonesian immigration officials and accompanied by Le Touzey. She gave up her life in France to spend nearly two decades in Indonesia campaigning for his release. The two departed on a Turkish Airlines flight at 9pm (14:00 GMT). They are expected in Paris on Sunday at about 11am (09:00 GMT). The life sentence handed out by an Indonesian court, which rejected Blanc's claim that he was carrying the drug-filled gear for a friend, was critic ised in France as overly harsh. Paris raised the issue at the highest levels, with the then-prime minister Francois Fillon bringing it up during a visit to Indonesia in 2011. Indonesia has some of the world's toughest drug laws. More than 70 people, including 42 foreigners, are facing the firing squad for drug offences, according to the Coalition for the Abolition of Death Penalty in ASEAN (Association of Southeast Asian Nations). Indonesia has executed several drug traffickers since President Joko Widodo took office in 2014. Among them were foreign nationals, including two Bali Nine members who were arrested in 2005 for an attempt to smuggle heroin from Indonesia to Australia. The executions of Australian ringleaders Andrew Chan and Myuran Sukumaran sparked diplomatic outrage and a call to abolish Indonesia's death penalty. Although Jakarta suspended executions last year, Widodo has said the country is facing a " ;drug emergency" and previously ordered police to shoot traffickers who resist arrest. High-profile cases like that of Australian national Schapelle Corby, who spent more than nine years behind bars for smuggling marijuana into Bali, have stoked concern that Indonesia is becoming a drug destination.